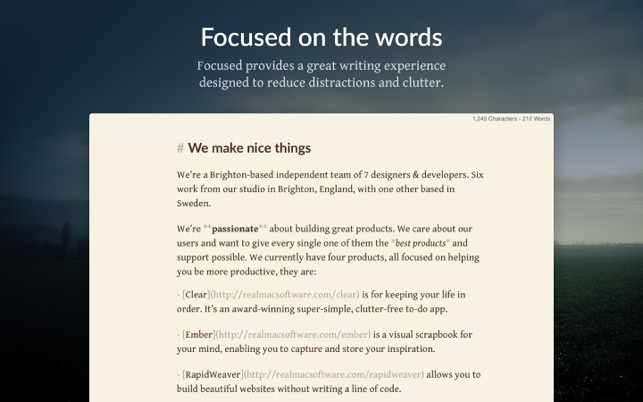 Meet Focused, formally known as Typed - the writing & Markdown app that blocks out distractions and clutter, and aids your focus so you can just write. We firmly believe the typewriter gives you the best writing experience. That's why we've completely re-built Focused from the ground up, typewriter first! 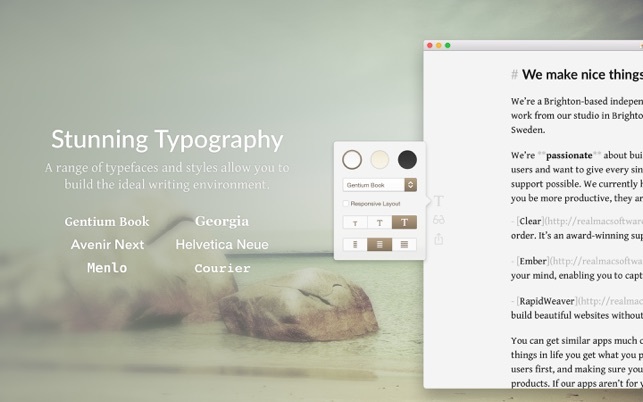 Focused has the best typewriter experience on the Mac! If you’re writing for the web, or quickly outlining longer articles, Focused features a full complement of keyboard shortcuts to both format and structure as you write. Quickly mark headings, Bold & Italics, Add Links - all easily within reach. When you sit down to write, getting in the “zone” as quickly as possible is imperative. So when creating Focused we carefully studied the ideal environment - and built it. There’s Full Screen as you would expect, and then there’s Zen Mode. Eight carefully selected ambient soundtracks that heighten your focus - from rain to wind and more. All perfect for keeping calm and creating great content when you’re on a deadline. - No clutter, no distractions. Just a perfectly honed set of tools to help you write and stay focused on the task at hand. 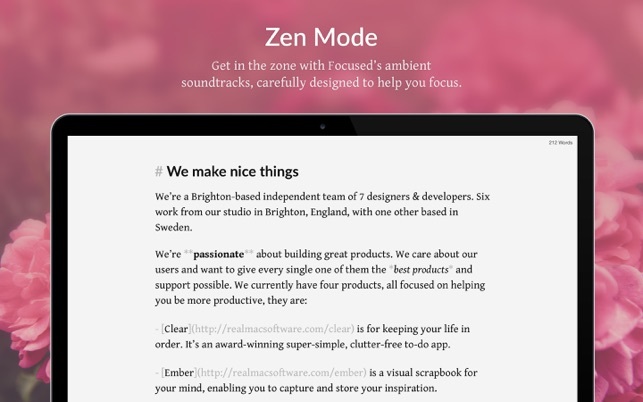 - Filter out life’s distractions with 8 calming soundtracks that aid your focus, allowing you to concentrate on your writing. - Need to hit a word count, or stick to a character limit? Focused keeps you on target without cluttering your workspace. - The dog will never eat your homework again - Auto Save keeps your content safe, with Versions support to retrieve an edit. 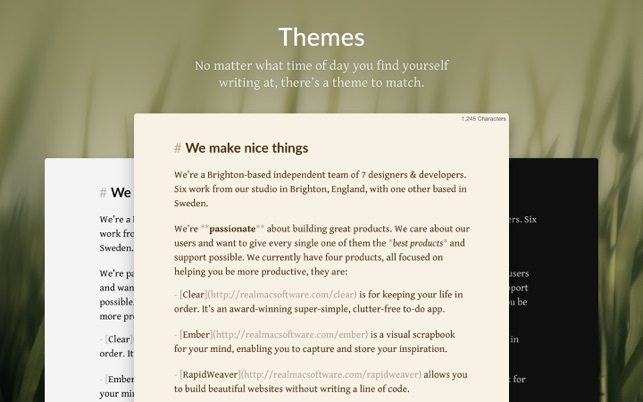 - Typewriter & Focus modes: Focused vertically centres and highlights just the sentence or paragraph you’re working on. Great no matter whether you’re editing or writing. 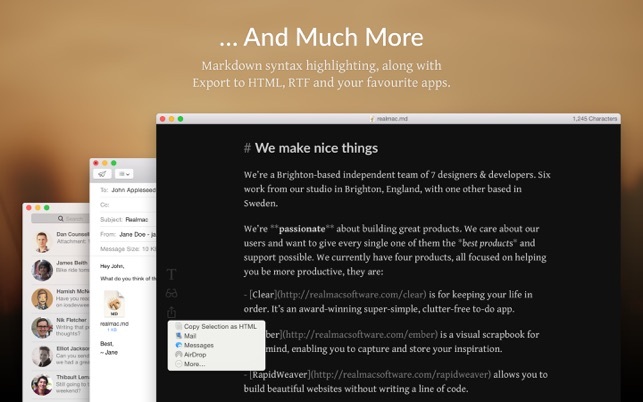 - Built to help you write for the web without the need to know any code - Focused generates it all for you, and uses Markdown syntax to keep your writing easily readable. - Never leave the keyboard again, with comprehensive keyboard shortcuts to help you structure and format. Focused is not just a distraction-free writing app - it’s the first writing app that actually aids your focus, and we think you’ll love it. If you have any questions, or want to share your feedback just use the Support link here on the Mac App Store to contact us and one of the Focused team will get back to you! There are things I really like about this. Sleek interface. Simplicity. Ease-of-use. 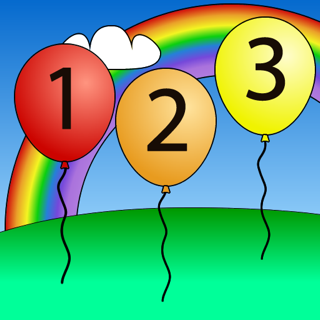 - Want to reopen your last document by default on launch? Too bad! I really enjoy TextMate for programming, and it has excellent Markdown support. 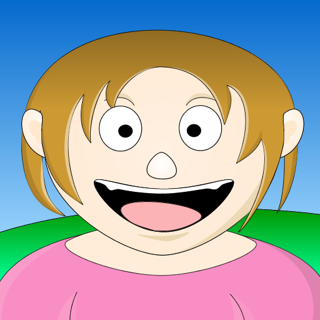 However, I wanted a different editor for writing—it helps me focus to separate things. This editor is very promising (and better be, for the price tag), but it needs more _functional_ polish in addition to the _visual_ polish. I removed my gripe about Smart Quotes turning themselves back on, and upped my review to a 4 from a 3. Apparently that's OSX's fault, as it no longer happens after changing System Preferences (sigh). So, in actuality, Focused was being cool by grabbing the system-wide settings, and I was annoyed because I didn't _realize_ it's a system-wide setting. I use Focused for creative writing and for me, it's pretty much perfect. I don't have any formatting needs, really, so the interface is what it lives and dies on it and it delivers in that aspect. I wish there was a smaller text feature since the defaults are all fairly horsey and sometimes I would love a little more privacy when using it in public or at work. This app has promise, but unfortunately there are still quite a few kinks. From what I can tell, fonts are not working properly at all, it would seem that it only edits the font of the most recent paragraph regardless of how much you have selected, and just behaves eratically in general. Secondly, as far as I can tell the word count is completely broken, which I find rather dissappointing. Though I love the concept of the app, it fails to deliver on some key aspects that are crucial to even the most minimalist word processor. I find it a great app to keep me focused on writing, but the buyer should beware, this app is still very much a first draft. EDIT: I have discovered that the problems with word count and font inconsistency has to do with starting paragraphs with tabs. Any time you start a paragraph with an indentation it breaks both font and word count. I just thought that this would be useful information for people considering the purchase. It’s a good app, especially when you understand how to avoid the problems within it.